Mark Kistler studied under former Disney artist Bruce McIntyre for twelve years. McIntyre produced his own Drawing Textbook, videos, telecourses, and other resources for students to learn to draw but never quite made the connection with user-friendly children's materials. So Mark Kistler took up the crusade to bring drawing literacy to children via a national public television program and this book. Drawing, or artistic literacy, is at the heart of Mark Kistler's Draw Squad. Kistler's basic premise is that everyone can draw. They just need a few basic techniques to know how to get started. As children learn these techniques by working through each lesson, they get immediate and impressive results. Kistler presents the techniques as ten "key words" foreshortening, shading, surface, size, contour lines, overlapping, density, shadows, attitude, and daily use. The book has thirty lessons with nine components to each lesson. Consequently, a lesson should be spread out over a few days or a week. Since "daily use" is one of Kistler's keys, he recommends some sort of daily drawing activity—and there are plenty of ideas in the book for that! Lessons include warm-up exercises, instruction in a new skill, exercises with the new skill, examples, evaluation activities, practice and review, and extended activities. Kistler makes it easy for children to learn professional drawing techniques. Unlike the simplistic (and unrealistic) approach so often used with children—using forms of circles, triangles, and other basics shapes to approximate an image, he teaches them how to draw things as they actually appear. He focuses on ten key skills: foreshortening, shading, surface, size, contour lines, overlapping, density, shadows, attitude, and daily use. 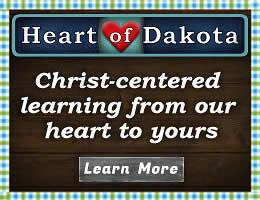 The book has 30 lessons with nine components to each lesson. Consequently, a lesson should be spread out over a few days or a week. Since "daily use" is one of Kistler's key skills, he recommends some sort of daily drawing activity—and there are plenty of ideas in the book for that! Children actually do much of their drawing right in the book, but you will also want to have extra sketchbooks for all the drawing they will want to do. A pencil is the only other thing you need—no fancy art equipment! Kistler's book has a jazzy format with cartoon characters popping up occasionally to make things even more interesting. 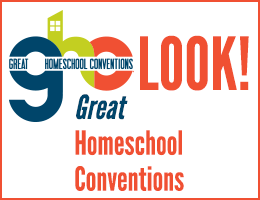 Lessons are well laid out and easy to follow—a fourth or fifth grader can use the book on his or her own. Younger children will need a little help. The format is so appealing that adults will enjoy using it too. If parents don't know how to draw, they should purchase an extra book for themselves and learn right along with their children. Also, check out Mark Kistler's Draw 3D online art lessons that use a similar methodology. 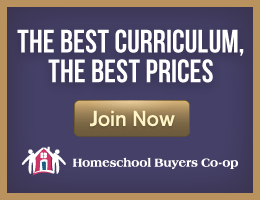 Online classes are available through the Homeschool Buyers Co-op at a super discount. You might want to use the ready-made lesson plans from Homeschool Planet that are available for the Mark Kistler Draw 3D online course.